20 years of experience. We are always able to finish the job the same day. Our technicians are well trained, friendly and eager to perform the best garage door repair service in the industry. Our garage door repair technicians are trained friendly professionals that will always give you the best options for your individual garage door needs. We are very proud of our hard-earned reputation and hope to show you how we treat our customers - with integrity! We aim to complete the job quickly and correctly the first time. We offer a large selection of amazing designs and colors. Get in touch so we can offer you an affordable and reliable service or get a free estimate! kept in good working order, it provides convenience and security. However, a neglected door can not only become noisy, but also pose a significant safety risk to your family. Our trained technicians can repair and upgrade your opener regardless of the problem. Garage door systems include electrical and mechanical components, motors, and pulley systems, all of which must work correctly and in unison. We make sure that each component is working properly before we leave, so that you can rest assured that your garage door will continue to work for a long time. Whittier,	Glendale,	Pasadena,	West Covina,	Bell,	Burbank,	El Monte,	Alhambra,	Huntington Park,	Baldwin Park	and other cities within 20 miles of Pasadena.,	Pico Rivera,	Montebello,	Rosemead,	San Gabriel,	Arcadia,	Monterey Park,	South El Monte,	Monrovia,	Altadena,	Temple City,	La Crescenta,	Maywood,	Duarte,	Tujunga,	South Pasadena and La Canada Flintridge	. We are trained and certified Garage Door Repair Company, that means that every technician on our team is a professional in his/her job and expertise. We have dealt with any possible garage door Service and we have came out successful in ALL of our service calls. There is no job tough enough for Garage Door Repair Specialists. Whether the garage door has collapsed or misaligned, fell off track, failed door opener, broken drum roller, or simply needs a grease up to stop a squeaky noise, we are here 24/7 with FREE estimate on your Garage repair! 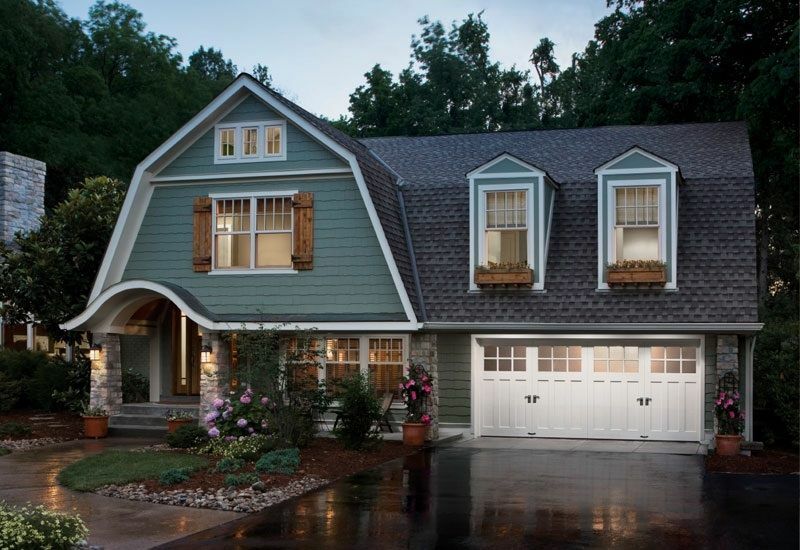 Garage door repair does not have to be a frightening prospect. Our Garage Door Repair service can help you diagnose your problem and have it fixed for an affordable price. Don't worry we can fix anything such as; broken emergency release, broken cable, cable snapped, cable loose, If you have track problems you also shouldn't worry. We specialize in garage door opener repair, Garage door repair ,Repairing existing garage doors, sales of new garage doors, and new garage door openers. We pride ourselves on the quality products we provide, along with the exceptional service. Our garage door repair technicians are trained friendly professionals that will always give you the best options for your individual garage door needs. We are very proud of our hard-earned reputation and hope to show you how we treat our customers -- with integrity! Genesis Garage Door Spring Repair Pasadena has been rated with 5 out of 5 stars based on 12 customer reviews. Fixr has reviewed the content provided by Genesis Garage Door Spring Repair Pasadena to match our community guidelines. Genesis Garage Door Spring Repair Pasadena has been rated with 210 experience points based on Fixr's rating system. Fixr has validated the email provided by Genesis Garage Door Spring Repair Pasadena. Zack came on time and was very professional and impeccable. Job was done quickly and thoroughly. Great job and well done. If we ever need future garage repairs we will definitely use them and request Zack. Called in the morning and Steve was able to make it the same day with a 2 hour window. Helps with planning out the day. My garage door would get stuck when I tried to open it. Once he arrived he took the time to explain the situation of what is wrong and what are the best options. He was a very nice person and willing to explain what he is doing while he was working. He even took the time to fix a leaky hose faucet after he finished the job. The service just doesn't get any better. One early morning this week, we were trying to get an early start on a 6 hour road trip, when disaster struck and our garage door broke... one of the cables snapped and a wheel broke, coming off track. The door was closing at a wonky angle, and I could not manually straighten and close it all the way. We needed someone to fix it immediately so we would not have to cancel our trip. I called several "24/7" emergency garage door companies; some did not answer the phone, others were 3rd party dispatchers who said someone would call back later. Finally, I called 3RRR Garage Door and they sent someone within a half hour. A couple of friendly repairmen showed up promptly, and I kid you not, within 45 minutes, they not only had the door up and running, but had showed me the shoddy workmanship from our last repair only 2 years ago. They re-positioned the springs to evenly distribute the stress to help avoid future problems, and used heavier gauge cables. Disaster averted, we were on our way to our vacation. Superb service, I would definitely recommend this company! This business is an hour away from where I live, yet they were at my house within 2 hours on a Friday afternoon. Called ahead of time to let me know that they were on their way and verify the address. Once here, they took care of my garage door repair needs, super friendly, honest and professional staff, above all, great prices and prompt service. Highly recommended, went above and beyond to satisfy customer, as good as it gets, 5 stars. Great service and price. Eddie was able fix my door spring on the same day it broke. Very flexible with meeting me to fix at home. Half hour heads up is great. Highly recommend to people that know nothing about garage doors and are looking for a good reference. These guys were very helpful in diagnosing my garage door problem over the phone. Thanks to them I was able to fix the problem myself with little trouble, as opposed to the other guys who just quoted my $90 to come out and fix it without any explanation. Should I actually need real service on the door, I will not hesitate to call Genesis garage door. Great work. Stuck to the verbal phone quote to replace tension springs. Came out the same day and finished the job within 30 minutes! Had 'em out yesterday to install garage door opener. On time, friendly, courteous, knowledgeable service. Install took about an hour and fifteen minutes or so. Then the tech went over all the safety features and operation with me. Tidied up nicely when he finished. And answered all of my questions. I'm sure he had other customers, but made it seem like I was the only customer and he couldn't do enough for me. Conscientious too: did a careful job with the wiring. All in all, the experience makes me wish I had a whole fleet of garage doors for them to work on. But, alas, alack, I have but the one. Ah, me. Also, when I initially contacted them (via their website), it was minutes before my phone rang and we scheduled an appointment. With response like that, why go anywhere else? Don't go anywhere else. Contact Genesis garage door. Everyone I spoke to was very friendly. Overall, would strongly recommend them if you need work! Genesis garage door replaced my single car garage door. I went from an old warped wooden door to a smooth roll up one. I lived in a complex that required it to be painted to a specific color, which was also not a problem. It was less than three days between the estimate and new installed door. I was even able to use the existing door opener without being pressured into having to buy a new one. So I called at 9am and they said he would be out between 12 and 2. Guess what! Got here at 12:30 the same day. The door works great and actually it works better. It's smoother and is more quiet. Great job. We moved into a new house and were finding that the garage sensors were finicky, not closing even when nothing was in the way. I called Genesis garage door and they sent someone the next day. They gave me a 2 hour window and the repairman came early in the window. Despite not being able to recreate the problem for him, he could immediately identify what would cause it, fixed it for me, and gave me some tips for regular maintenance. On time, less than a 20 minute visit and all is working. Very happy with the service.